This year I turned 34, I know, hard to believe! I’ve always had a young youthful spirit and boundless energy, think back to the other weekend when I drew all over my bag for the Ford adventure. A few months ago I was given the opportunity to learn about Emervel, a soft dermal filler for dealing with fine lines and wrinkles. It’s used most for enhancing lips and minimizing the signs of ageing. It was good timing because I’ve had more chats about ‘enhancing’ beauty at events over the last year than ever. 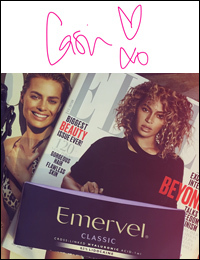 Earlier this year I shared the Emervel Kissability report with info on plumping up your pout. YouTube Canada gave me some stats about beauty & fashion trends on the rise, three of the top beauty trends are eyelash extensions, eyebrow filler, and lipstick. Canada also ranks 3rd worldwide for ‘lip filler’ which had a big spike last year and continues to grow. I made an appt with Dr. Lisa Kellett for a consultation without knowing too much but I was interested in seeing about minimizing smile lines around my mouth (nasolabial folds) and the lines between brows (neuromodulator). I considered the appointment like an interview, I wanted the low down on what people were doing and results. Dr. Kellett analyzed my face and talked about options. I was relieved to hear she’s a minimalist and likes to go for the ‘refreshed’ look. Basically, nobody would be able to notice exactly what was different but I’d look ‘refreshed’. She said ‘refreshed’ again and as I left that stayed in my mind. After a week I booked an appointment. The morning of my appt at DLK in Yorkville I was kinda nervous. Arrived about 30 min early so I could get a coffee and snack. I got to the office at 8:20 for my 8:30 appointment. Dr. Kellett came in and we chatted about looking ‘refreshed’ and I let her do her thing. The whole appt took about 30 minutes and it didn’t hurt. The needles they use are very small, less of a prick than an immunization. She did a treatment for my smile lines, and cheeks to enhance natural contour. The treatment for the smile lines will last about 6-12 months. I can 100% understand why 9/10 patients want to have this procedure again. I love it. It’s just enough to make a slight difference and I feel refreshed. If I hadn’t written this post I don’t think anyone would even notice! When I got home from the appointment Sean popped by the house and looked at me for a second, then said ‘you look pretty‘. It made me feel great. ???? If you’re looking into this type of treatment it’s important to go to a reputable dermatologist/clinic. If someone is offering a discount, think twice before putting that stuff in your face. 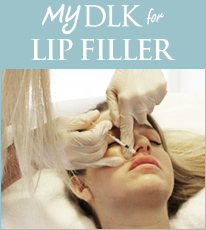 Dr. Kellett is one of the top in her field in Canada and you can find her at DLK on Avenue. It’s been a couple weeks since my first visit and I’m due for a follow up. I’ll give you an update how that goes. If you have any questions, feel free to ask me via email or send me a DM. Here’s to putting your best self forward and feeling great about it!